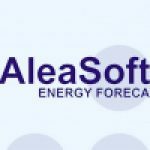 April 6, 2004-Endesa Italia has selected AleaSoft (aleasoft.com) for the supply of electricity demand forecasting software. Products delivered are “AleaShort” and “AleaMid”. “AleaShort” obtains hourly forecasting in the short term (up to 10 days) and “AleaMid” obtains hourly forecasting in the mid term (up to one year). These tools will help the company to face the new Italian electricity market. The products delivered are a new generation of electricity demand forecasting tools, based on “AleaForecast” forecasting engine. This engine is the result of years of research in the field of electricity forecasting. The engine combines advanced artificial intelligence and statistical methods, meeting the needs of the market in terms of forecast accuracy and automation. In the mid term forecasting, temperature scenarios functionality has been developed in order to generate forecasts with hypotheses of different temperature scenarios, even extreme temperatures. This feature can help companies to deal with problems occurring when facing extreme temperatures.